A community of Catholic students committed to faithfully and joyfully living their Catholic identity. We are committed to the New Evangelization, inviting others to a relationship with Jesus Christ and His Church, centered on the Holy Eucharist. We aspire to walk in the footsteps of our patrons: Saint Paul, the Apostle to the Nations and Blessed Pier Giorgio Frasatti, a young man who lived his Catholic faith while a university student in the twentieth century. The UC Society of Saint Paul was established in 2012, and officially recognized by the University of Cincinnati at the beginning of 2013. 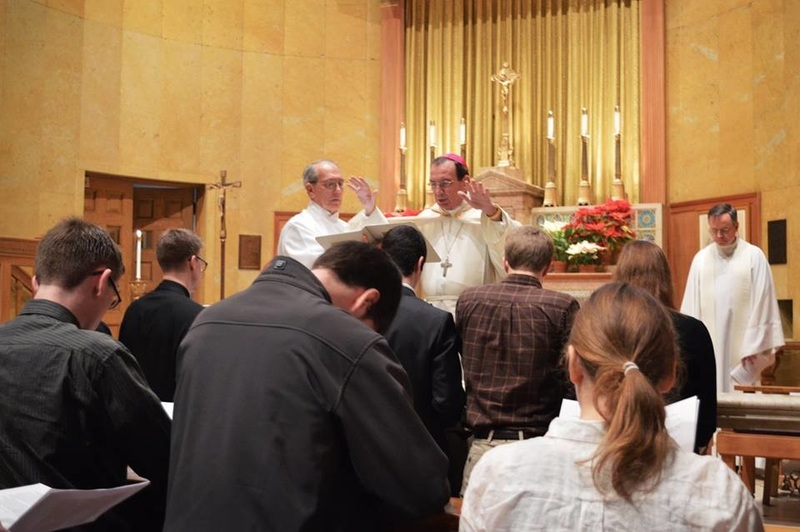 It has the full support of the Archbishop of Cincinnati, and is based at Annunciation Parish in Clifton, near the UC campus. The Society is involved in comprehensive ministry and service to the Church.